A little green van called ELVIN is whizzing around the University of Warwick as part of a major research project aimed at tackling the safety issues linked to the lack of sound from electric vehicles. 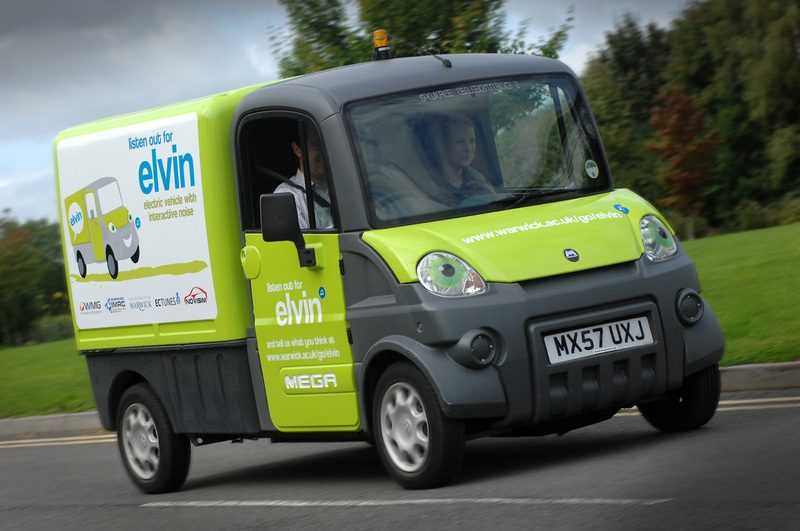 However ELVIN (Electric Vehicle with Interactive Noise) faces a risk of being perceived as a little green man rather than as a little green van. ELVIN will be able to emit many different sounds aimed at alerting pedestrians and other road users that he is nearby. One of the range of sounds being tested is said to invoke memories of early science fiction movies and the researchers will have to be sure it really does alert pedestrians and other road users to oncoming electric vehicles rather than causing them to look skyward for more unearthly vehicles. WMG is carrying out the research with vehicle sound experts NoViSim of Hertfordshire, and Danish company EC Tunes.